It’s funny because all the media coverage said today the weather would finally feel better. I don’t know about you, but I think this morning was the worst so far. Yes, the extreme heat has abated, but the humidity has finally kicked in big-time. It felt like a freakin’ sponge out there this morning! The Times ran an article the other day about how the city seems different during a heat wave. I have another observation- it smells different too! Mostly of mothballs and cigarette smoke, to be exact. Those odors, quite unfortunately for me, have suddenly become prominent in my apartment since the heat wave began – the cigarette smoke eminating from the two apartments on either side of mine, and the mothballs from whence I’m not quite sure, either the old lady below me or the old couple across the hall. I’ll say it straight out – if my generation is remembered for anything, for any lasting contribution to mankind, I predict it will be coming up with alternatives to mothballs! 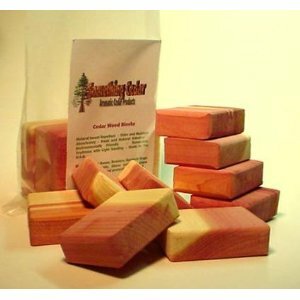 In my closet I still have cedar wood blocks that I bought from Home Depot years ago– odorless cedar. I recall when I was looking at apartments in Forest Hills years ago, walking into one building on the south side of Queens Blvd., somewhere near Ascan, and the entire lobby stunk to high heaven of mothballs. That ended any possibility of me living there in a flash. Awful! Anyway, I am looking forward to the heat wave ending so hopefully the steamy air will stop carrying the smell of smoke and mothballs into my apartment.